What to do when your 8-year old nephew comes to visit? Make pizza, of course! Well, not of course, actually. I didn’t think of it until we exhausted Sorry, Monopoly, and gin rummy. But it did turn out to be a brilliant idea as my father had just received a baking stone for Christmas, and my nephew loves pizza. I told him if he helped me make it I would talk about him on my website and he would be famous. That seemed to get his attention. He thought the dough was “slimy and gross” but he loved picking his own toppings, and the finished product was “awesome”. and Cook’s Illustrated’s The Best Recipe. The pizza dough recipe makes enough dough for two 10-12 inch pizzas. Next time I’ll be a bit more patient with stretching out the dough so I can get it even thinner. Look to the end of this post for some excellent links about pizza from other food bloggers. Pizza dough is a yeasted dough which requires active dry yeast. Make sure the check the expiration date on the yeast package! Yeast that is too old may be dead and won't work. You can use all purpose flour instead of the bread flour that is called for in the recipe, but bread flour is higher in gluten than all-purpose flour and will make a crispier crust for your pizza. Cup measurements can vary depending on how you are scooping the flour (we fluff the flour, lightly scoop it, and level with a knife). So I recommend using a kitchen scale to measure out the flour amounts by weight. This is the only way you'll get a consistently accurate measurement. 1 Proof the yeast: Place the warm water in the large bowl of a heavy duty stand mixer. Sprinkle the yeast over the warm water and let it sit for 5 minutes until the yeast is dissolved. After 5 minutes stir if the yeast hasn't dissolved completely. The yeast should begin to foam or bloom, indicating that the yeast is still active and alive. 2 Make and knead the pizza dough: Using the mixing paddle attachment, mix in the flour, salt, sugar, and olive oil on low speed for a minute. Then replace the mixing paddle with the dough hook attachment. 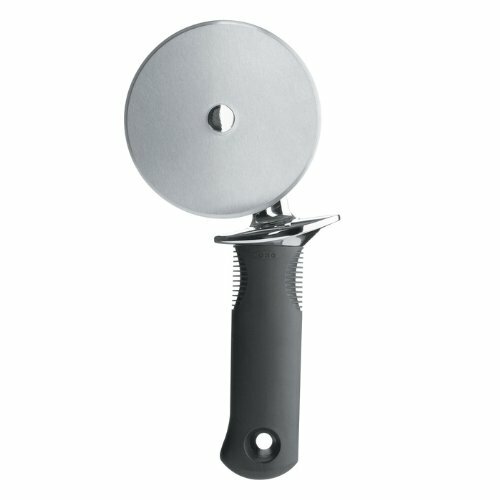 Knead the pizza dough on low to medium speed using the dough hook about 7-10 minutes. If you don't have a mixer, you can mix the ingredients together and knead them by hand. The dough should be a little sticky, or tacky to the touch. If it's too wet, sprinkle in a little more flour. 3 Let the dough rise: Spread a thin layer of olive oil over the inside of a large bowl. Place the pizza dough in the bowl and turn it around so that it gets coated with the oil. At this point you can choose how long you want the dough to ferment and rise. A slow fermentation (24 hours in the fridge) will result in more complex flavors in the dough. A quick fermentation (1 1/2 hours in a warm place) will allow the dough to rise sufficiently to work with. For a quick rise, place the dough in a warm place (75°F to 85°F) for 1 1/2 hours. For a medium rise, place the dough in a regular room temperature place (your kitchen counter will do fine) for 8 hours. For a longer rise, chill the dough in the refrigerator for 24 hours (no more than 48 hours). The longer the rise (to a point) the better the flavor the crust will have. After the pizza dough has risen, you can freeze it to use later. Divide the dough in half (or the portion sizes you will be using to make your pizzas). Place on parchment paper or a lightly floured dish and place, uncovered, in the freezer for 15 to 20 minutes. Then remove from the freezer, and place in individual freezer bags, removing as much air as you can from the bags. Return to the freezer and store for up to 3 months. Thaw the pizza dough in the refrigerator overnight or for 5 to 6 hours. Then let the dough sit at room temperature for 30 minutes before stretching it out in the next steps. 1 Preheat pizza stone (or pizza pan or baking sheet): Place a pizza stone on a rack in the lower third of your oven. Preheat the oven to 475°F for at least 30 minutes, preferably an hour. 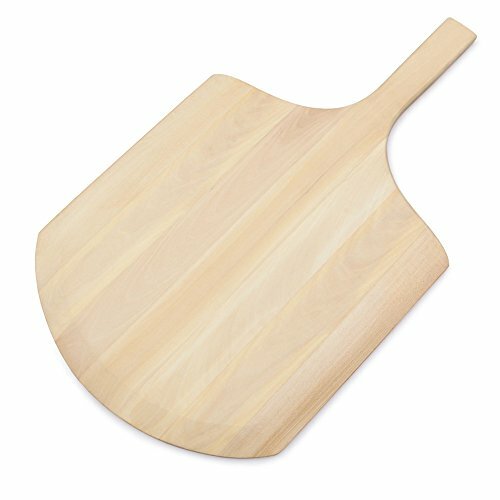 If you don't have a pizza stone, you can use a pizza pan or a thick baking sheet; you need something that will not warp at high temperatures. 2 Divide the dough into two balls: Remove the plastic cover from the dough. Dust your hands with flour and push the dough down so it deflates a bit. Divide the dough in half. Form two round balls of dough. Place each in its own bowl, cover with plastic and let sit for 15 minutes (or up to 2 hours). 3 Prep toppings: Prepare your desired toppings. Note that you are not going to want to load up each pizza with a lot of toppings as the crust will end up not crisp that way. About a third a cup each of tomato sauce and cheese would be sufficient for one pizza. One to two mushrooms thinly sliced will cover a pizza. 4 Flatten dough ball, and stretch out into a round: Working one ball of dough at a time, take one ball of dough and flatten it with your hands on a slightly floured work surface. Starting at the center and working outwards, use your fingertips to press the dough to 1/2-inch thick. Turn and stretch the dough until it will not stretch further. Let the dough relax 5 minutes and then continue to stretch it until it reaches the desired diameter - 10 to 12 inches. You can also hold up the edges of the dough with your fingers, letting the dough hang and stretch, while working around the edges of the dough. If a hole appears in your dough, place the dough on a floured surface and push the dough back together to seal the hole. Use your palm to flatten the edge of the dough where it is thicker. Pinch the edges if you want to form a lip. 5 Brush dough top with olive oil: Use your finger tips to press down and make dents along the surface of the dough to prevent bubbling. Brush the top of the dough with olive oil (to prevent it from getting soggy from the toppings). Let rest another 10-15 minutes. If the dough has lost its shape in the transfer, lightly shape it to the desired dimensions. 7 Spread with tomato sauce and sprinkle with toppings: Spoon on the tomato sauce, sprinkle with cheese, and place your desired toppings on the pizza. 8 Sprinkle cornmeal on pizza stone, slide pizza onto pizza stone in oven: Sprinkle some cornmeal on the baking stone in the oven (watch your hands, the oven is hot!). Gently shake the peel to see if the dough will easily slide, if not, gently lift up the edges of the pizza and add a bit more cornmeal. Slide the pizza off of the peel and on to the baking stone in the oven. 9 Bake pizza: Bake pizza one at a time until the crust is browned and the cheese is golden, about 10-15 minutes. If you want, toward the end of the cooking time you can sprinkle on a little more cheese. Hello! All photos and content are copyright protected. Please do not use our photos without prior written permission. If you wish to republish this recipe, please rewrite the recipe in your own unique words and link back to Homemade Pizza on Simply Recipes. Thank you! This was the most beautiful soft and elastic dough, and the resulting pizzas were delicious. I let my dough rise for three or for hours but am keen to do a slow fermentation in the fridge next time. Thank you for the excellent, informative recipe, I will be using it often! I’m so glad you liked the dough and pizzas Natalie! I’ve done a slow fermentation in the fridge as well. Works great. I could never wait that long for pizza dough! I know because I’m 58 years old and up with hungries at 4 am, just checked your recipe to ensure my cook time. My dough mixed in about 90 seconds, rested for 4 minutes and was kneeded to elastic and covered on board. Got my toppings ready and 5 minutes later that dough got stretched onto pan, covered with sauce and toppings and is cooking for 12 minutes. It too will be perfect. I’ll bet your is good, it’s just too far ahead for me to think about it! Just made this pizza and it turned out under-cooked in the middle and top. I followed the recipe as written and baked it for the time specified and the edge of the pizza and bottom crust was very brown and crusty but the top/middle of the pizza was under-cooked. I was very careful not to overload with toppings, as suggested. I used a pizza stone. I’m disappointed in the results. Hi Barbara, every oven is different. Sounds like with your oven set up you needed to cook the pizza a minute or two longer, and perhaps position the pizza stone and rack a little bit higher in your oven. Thanks for sharing a great recipe! Have made the pizza twice, the first time with exactly the measurements, the second time I needed more flour. As mentioned on another post, the type of flour used can make a difference. With 1kg of flour this we made 4 pizzas! how many degrees should i bake the pizza? Hi, Eva! The recipe says to heat the oven to 475F. Enjoy! It was a little hard to make. Haven’t made home-made pizza since high school. It came out amazing. Just like Domino’s Pizza!!! Hi Dolla, here’s the tomato sauce recipe I use: https://www.simplyrecipes.com/recipes/basic_tomato_sauce/. It works well puréed on pizza. I used the pizza dough recipe and it was great. I have my own traditional sauce recipe, Then my own toppings. The pizza was perfect. I happened upon this recipe around 2010/11ish…then I lost it. 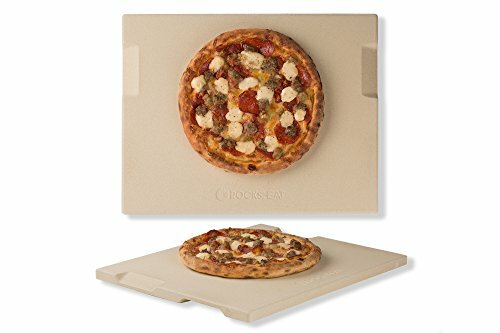 I am so happy to have figured out where I originally found this so that I can start making pizza with the new addition to my family as well as having some dough on hand in emergency lunch/dinner situations. I remember this being great! (cue the music: Reunited and it feels so good). I roll out my crust and place it on a floured peel, rub it with olive oil and slide it onto a hot pizza stone without any sauce or toppings for about five minutes to let the crust set up. I take it out and make the pizza and spray olive oil on the crust and cook it for about ten minutes. Cooking this way ensures the crust is crisp and crunchy and the toppings don’t overcook. No pizza wheel? Use scissors! !